Patrick Casement stresses the value of 'internal supervision', which monitors clinical work from the patient's point of view as well as the therapist's. 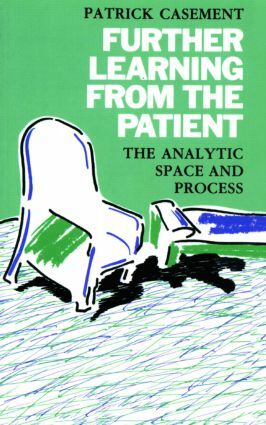 In this follow-up book to On Learning from the Patient, he shows that this process can teach the therapist important new things, and by developing original concepts and using many illustrative examples, he enables the trainee and practising analyst to deepen and clarify their clinical understanding of the processes involved in analysis and psychotherapy. Interpretation: fresh insight or cliché?